All property development carries risk; after all without risk, there’s no reward. And development is a great way of making some serious profits. But how can you protect yourself against the downside as much as possible? In this episode Ritchie Clapson gives us seven great tips for minimising risk, from the type of project you look at through to the way you work your numbers. You can’t avoid risk completely, but armed with good advice you can certainly reduce the chances of getting any nasty surprises. In other news, Ian loses an argument with a car park while Ritchie tries his hand at hairdressing. The propertyCEO Podcast gives you an inside track in the world of property for investors and developers, both new and experienced. Your two hugely experienced hosts discuss a wide range of subjects, while usually managing to disagree about something. 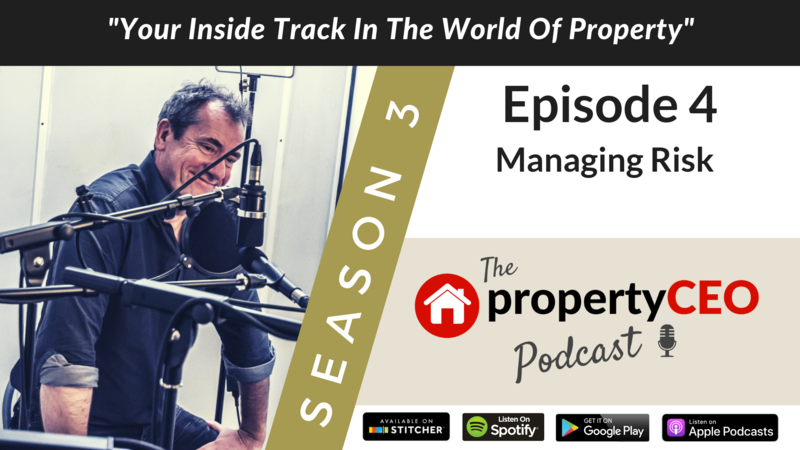 A highly relevant yet often irreverent look at the world of property from many different perspectives, the propertyCEO Podcast is your one stop shop for tips, anecdotes, and highly useable property and business information.